On extra-large serving platter, arrange all ingredients except dressing. Just before serving, drizzle with dressing. 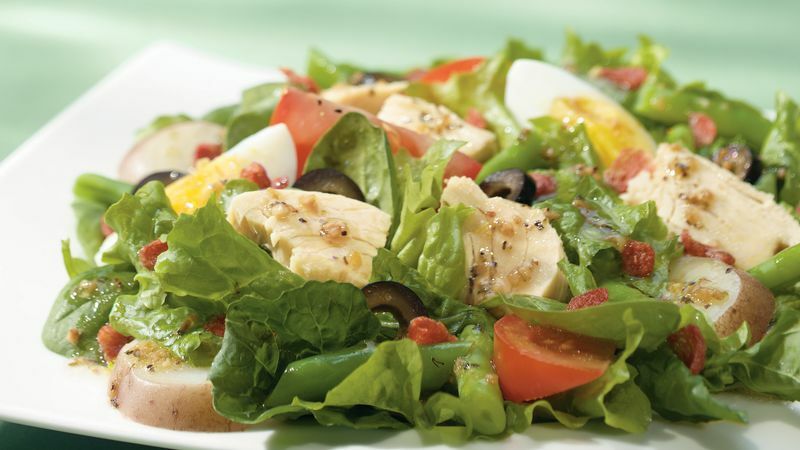 This type of salad with potatoes, beans, cooked eggs, tomatoes, olives and tuna is a classic French Niçoise salad.